Koh-i-noor presents reclinable mirrors, for disabled people, to be installed on the wall above the washbowl. These products are built following the elimination of architectural barriers regulations. They are, in fact, elements built to make all bathrooms usable for everyone, from old people to disabled people in wheelchair, to children. Reclinable mirror. 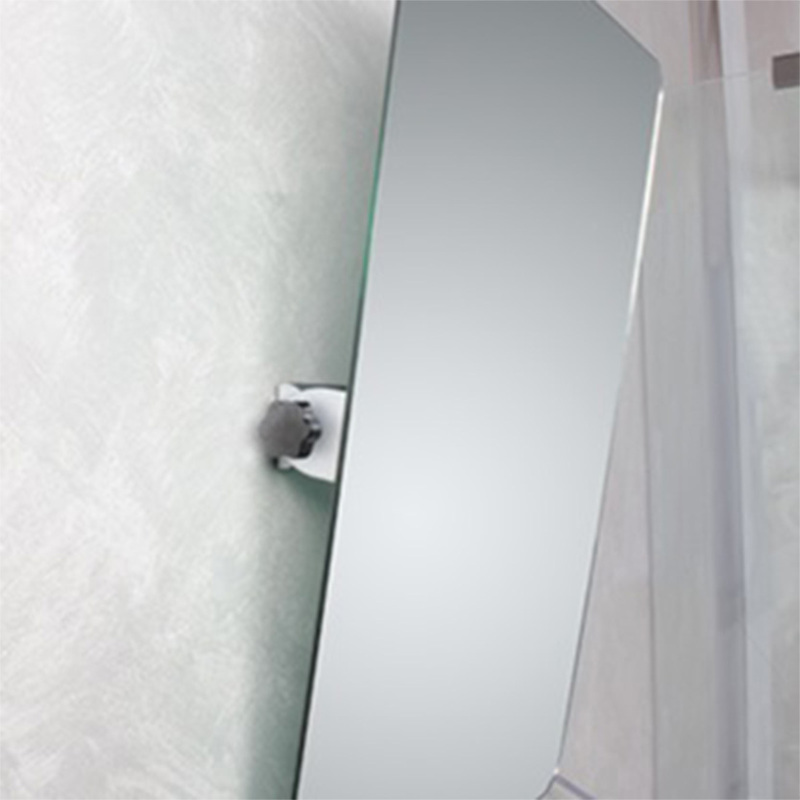 Koh-i-noor’s reclinable mirrors are installed on walls through a central hook that calibrates the standard inclination of the reflective surface, and there is also a grip on the lower side of the mirror to adjust the inclination itself. The mirror movements are 100% safe and its structure makes it possible for a disabled person on a weelchair to handle it with no difficulties: the working principle is the same as for a simple lever, really easy to handle. These products are conceived to be moved up and down, depending on the height of the person who is using them, and to adapt the surface inclination. People on wheelchairs are often unable to use wall mirrors due to limited height levels they can reach. Reclinable mirror solution is the best so far because allows everyone, even children, to look directly in the mirror without any kind of logistic complication. Mirror has a high quality glass and it’s built follwing the current ecological regulations, that is to say without use of heavy metals such as lead and copper. Protective films. Koh-i-noor tought about every detail and considers the application of splinter proof protectiv films, in order to protect all users, in particular disabled people, who are easy subject to domestic accidents due to possible break-up or splintering of mirrors edges. 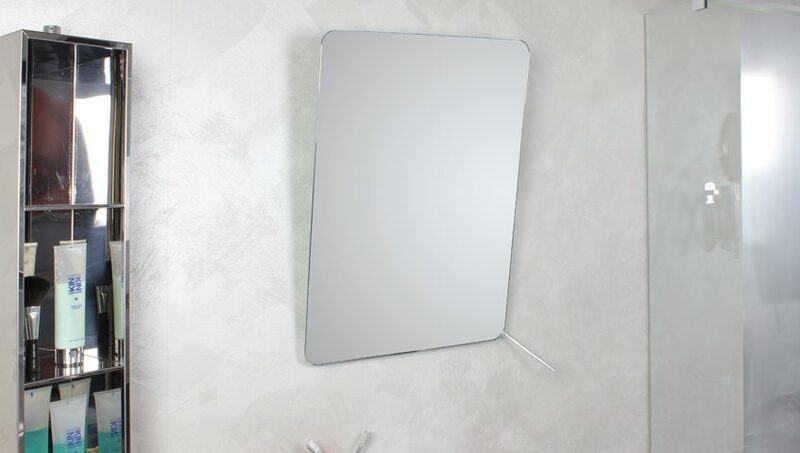 To completely avoid these kind of accidents, reclinable mirrors have a protective film that hold back all splinters, in case of damage, preventing them to hurt the users. 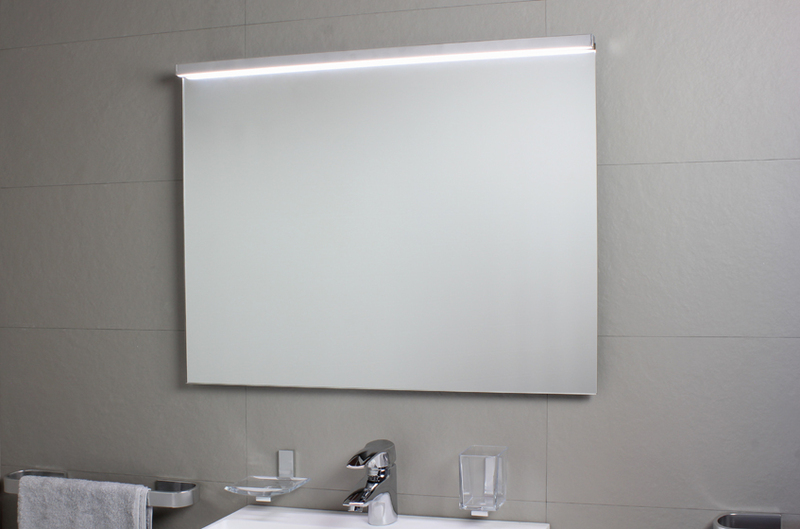 This film is not visible and has no aesthetical impact on the quality performance of the product itself: these mirrors are not only useful and harmless, but also very pleasing to the eye. Mirrors have a squared shape and standard measures. 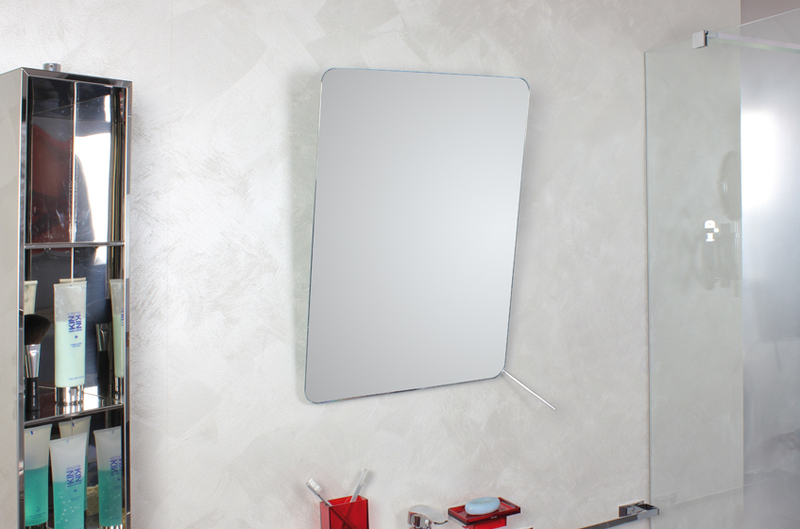 Koh-i-nor however meets all customers requests who, in case of particular necessity of room limitations, need mirrors with customized measures. All you need to do is submit a technical design with detailed measures and then, after a general check, we send a new quote back to the customer e-mail.